The Ten Steps to Successful Breastfeeding are a bundle of internationally recognized, evidence-based maternity care practices that have been shown to increase breastfeeding initiation and duration. The Gift and The Gift Shining Star designations are based on implementation of these Ten Steps. Help mothers initiate breastfeeding within one hour of birth. (Place babies in skin-to-skin contact with their mothers immediately following birth for at least an hour and encourage mothers to recognize when their babies are ready to breastfeed, offering help if needed). Encourage breastfeeding on demand. (Teach mothers cue-based feeding regardless of feeding method). 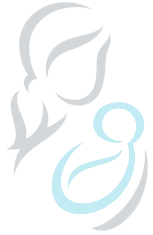 The Gift encourages continued progress toward pursuit of Baby-Friendly™ designation. Baby-Friendly™ designated hospitals and birthing facilities must adhere to the Ten Steps to receive, and retain Baby-Friendly™ designation.